Colegio Menor embraces the best of international and American schools while also teaching understanding, respect, and appreciation for diversity in Ecuadorian Culture. Our curriculum is based on the liberal arts and includes various programs that contribute to the development of well-balanced individuals. Our students are provided with unlimited opportunities to discover the beauty in their journey of personal growth. Colegio Menor’s students are artists, scientists, musicians, writers, and mathematicians. The concept of liberal arts is a balanced educational approach focused on the development of intellectual abilities and not solely on the development of technical skills. At Colegio Menor we regard all subjects as equally important in order to ensure well-rounded development of our students. Colegio Menor’s students equally achieve high levels of proficiency in Spanish and English. The Early Childhood program is based on a full English immersion program, in other words, at this level, English is used as the primary form of communication. Our bilingual program begins in first grade, when the Spanish language is first formally introduced, and continues until twelfth grade. Colegio Menor has been accredited by AdvancED since 2008. AdvancED is the largest accreditation program in the world, working with more than 32,000 schools across 70 countries, making it “the largest educational community in the world”. The benefits of this accreditation include international recognition of quality, high educational standards, and support for improvement among the accredited institutions. Colegio Menor is affiliated with USFQ (Universidad San Francisco de Quito), approved by Ecuador’s Ministry of Education, and members of AASSA (Association of American Schools in South America), the College Board, and the Association of Colombian – Caribbean American Schools (ACCAS). Colegio Menor places great emphasis on the arts, specifically music, visual arts and performance arts. A strong focus on the arts contributes to the fulfillment of Colegio Menor’s mission, which aims to strengthen our students’ performance across all discipline areas and foster the development of social skills. Studies show that the arts in education play an essential role in intellectual and social development. During the early academic years, Colegio Menor’s music program combines music, movement, and theater. The children learn to play Orff percussion instruments from playgroup until third grade and beginning in the fourth grade they learn to play string and wind instruments. Colegio Menor lends each student a musical instrument and students receive lessons from teachers with specializations in Music Education. In Upper School students may receive one hour classes, daily, in one of the following areas of their choice: visual arts, music, or theater. As a result of this program, our students are able to progress to advanced levels in the arts. Presently, technology can be found in all that surrounds us and it has become increasingly part of our daily routines. For this reason, at Colegio Menor, technology is not considered an isolated subject area. Today technology is considered a comprehensive tool as part of the learning process. By using interactive activities and integrating technology standards in our curriculum, we seek to educate our students regarding the necessary fundamentals that will help them to become responsible “digital citizens”. 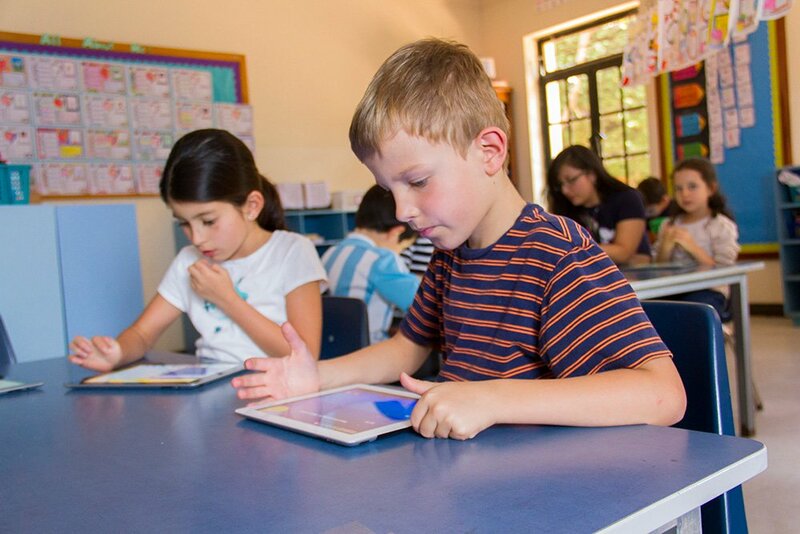 Colegio Menor uses a variety of technological mediums as a resource for teaching/learning opportunities. Students have access to mobile IPad labs, a sound recording lab equipped with high tech instruments, a digital photography lab equipped with Mac computers, Schoology as a learning support platform, campus-wide access to Wi-Fi, etc. At Colegio Menor we motivate our students to be life-long readers and skillful researchers. Our Early Childhood Library offers a wide-selection of children’s books in English only. Playgroup, Pre-Kindergarten, and Kindergarten classes visit the Early Childhood Library on a weekly basis where they can browse titles and select a book to share at home. Guided by our Library Specialist, students participate in read-alouds, take an in-depth look at authors, illustrators, special topics, and learn the basics about books, and library routines before graduating to the Media Center in first grade. 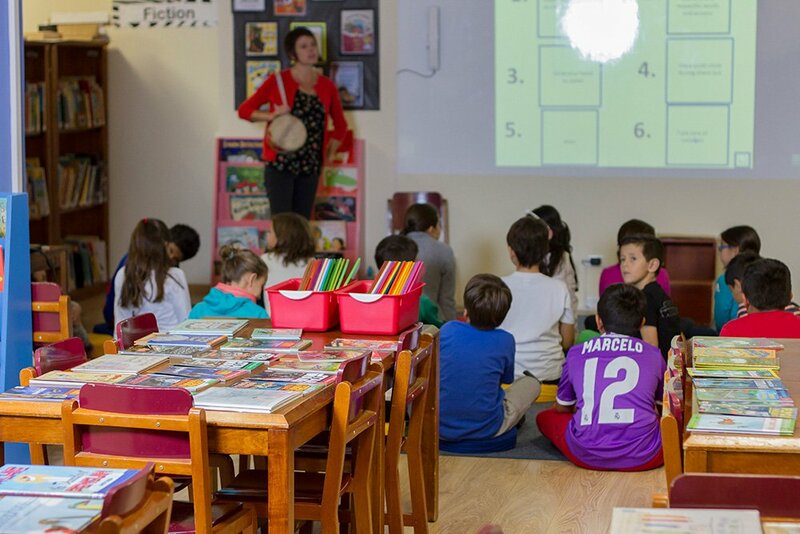 Our bilingual Media Center teaches weekly classes with 1st-2nd graders, bi-monthly classes with 3rd-6th graders, and at-point-of need collaborations with Upper School. Our classes emphasize literacy skills, celebrate children’s literature, connect texts to classroom curriculum, and teach research skills. We offer an up-to-date, high-interest, bilingual collection of fiction and non-fiction materials and research databases for beginning through young adult readers and researchers. From Book Fairs to Author Visits to Reader Promotions, we offer fun events throughout the year to motivate children to love reading and grow as readers. 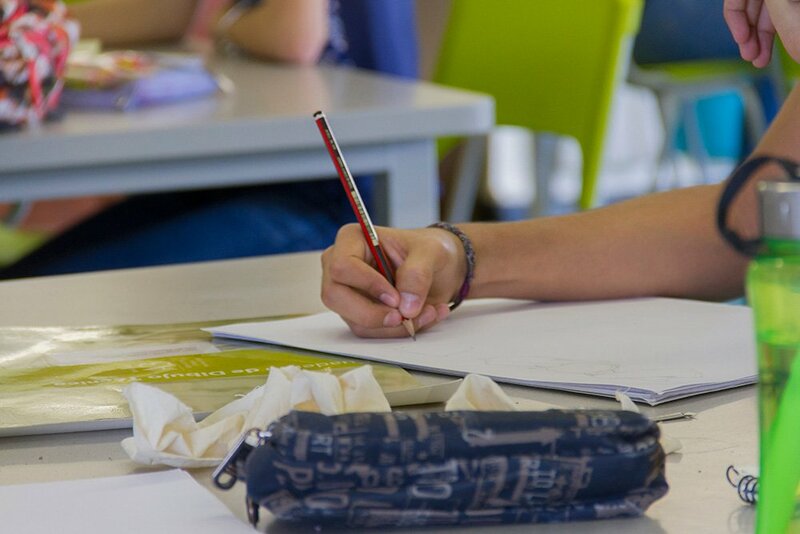 For over ten years, Colegio Menor been authorized by the College Board (United States) to offer Advanced Placement (AP) classes to 11th and 12th graders. This program is used with high schools across more than 100 countries. The AP program offers more than 30 college courses in the areas of: Computer Science, Arts, Mathematics, History and Social Sciences, Languages and Cultures, and English. The counseling department’s aim is to provide emotional support, facilitate personal development, and support the wellbeing of our school’s community. Our psychologists collaborate with staff, students, and parents/guardians in order to provide resources and information regarding social-emotional and physical development that are readily available to our students. As a support network for out students, our mission is to provide them with a safe and supportive environment and to assist and encourage personal growth. Colegio Menor’s College Counseling program is designed to prepare our students and their families during the college selection and application process. Choosing a college/university is one of the most important decisions a student should make, and that is why our students and their families count on extensive support and counsel to satisfy their needs in this area. 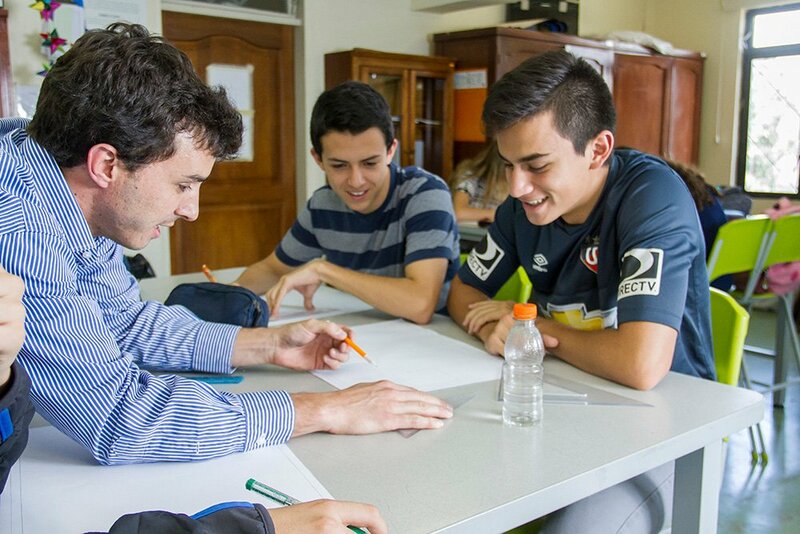 At Colegio Menor we recognize and value diverse learning abilities therefore those students who may present with mild to moderate difficulties will be eligible to receive intervention services from the Learning Support program. Colegio Menor emphasizes the importance in early identification and intervention for those students within our community that may present with learning difficulties. By using the Response to Intervention (RTI) model, students’ progress can be monitored, which allows for referrals for modifications, increased intensity of intervention, or referral for additional services that may be necessary at some point during the academic years. In Upper School, The Program of Academic Support (PAS) is also used to routinely follow-up and monitor student’s grades or progress.